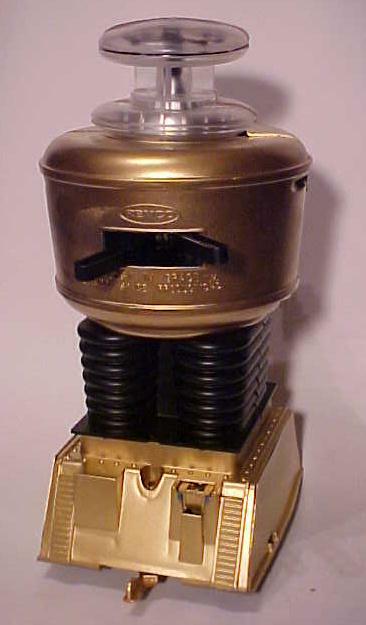 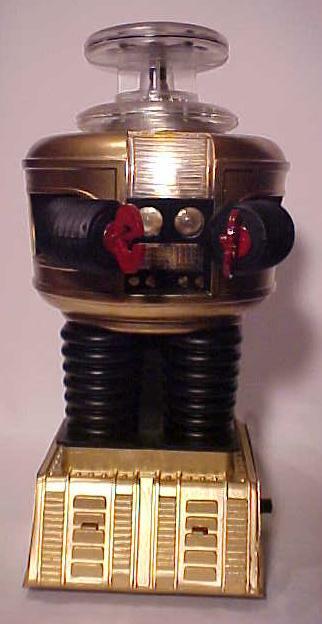 The Collectible 1966's REMCO ROBOT Newly Refurbished. 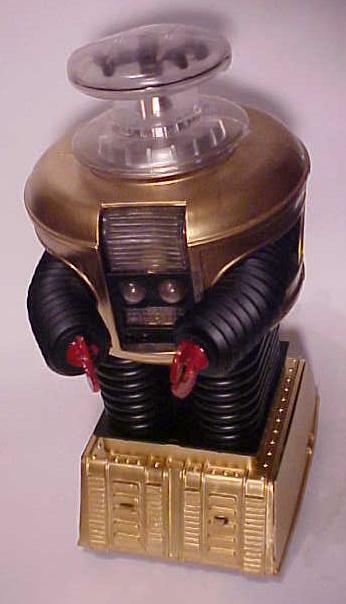 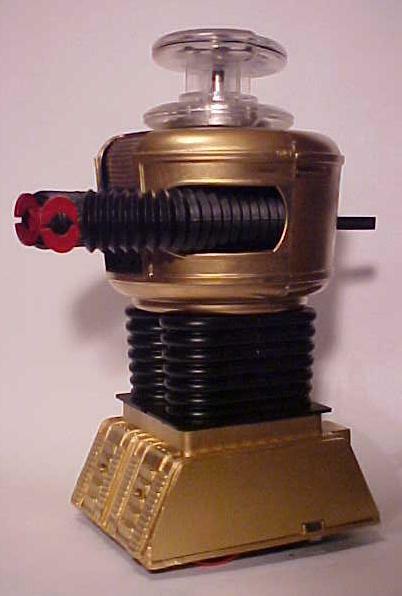 Inspired from the story: "CAVE OF THE WIZARDS" The B9 ROBOT appeared GOLD in one episode..... on the classic Lost in Space 60's television series. 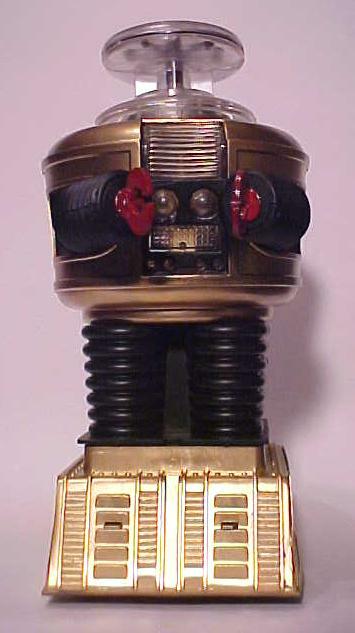 Metallic-Gold Barrel & Platform / Matte-Black Legs & Arms.....Red-Claws / Silver-Collar / Repro-Bubble & Repro Black-Spinner. 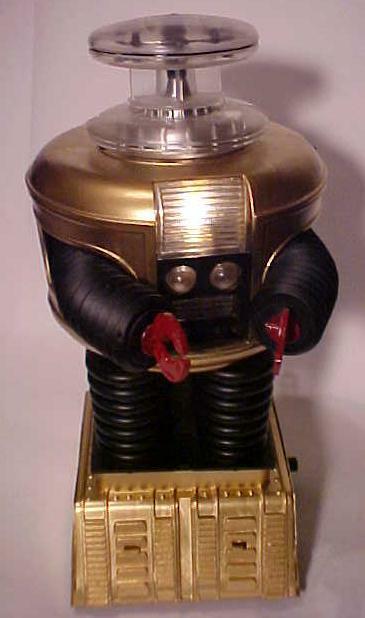 Stands approximate 12-inces tall. 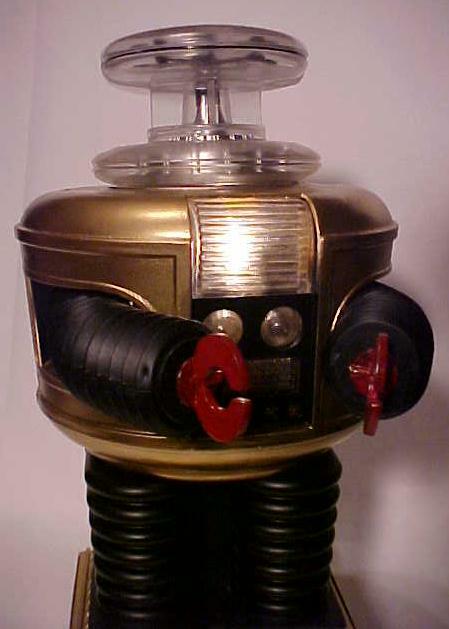 Created by master Robot artist, "Jerry VonMueller".